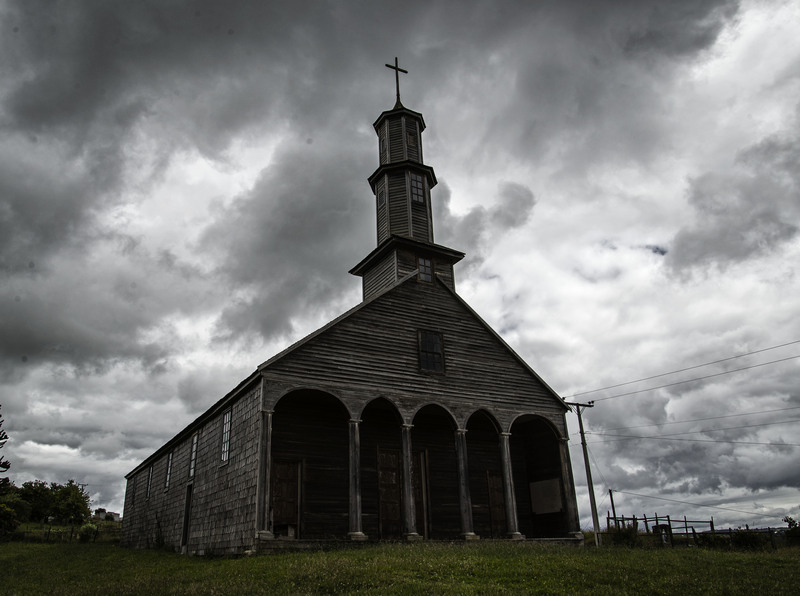 We drove South from the Lake District and headed to Chiloe in the worst weather we had seen so far. Driving rain reduced our speed on the highway to 20mph and we would have pulled over in rain that was any heavier. However we reached the ferry to Chiloe in one piece just as it was loading, so we drove straight on. 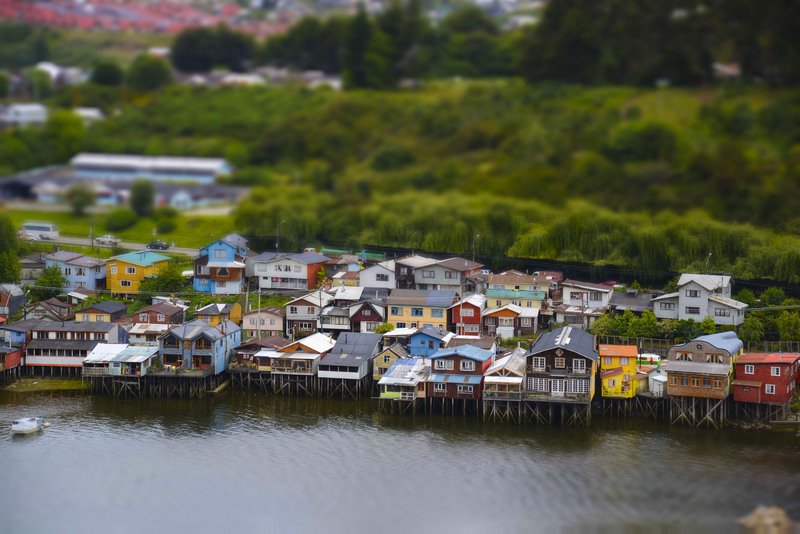 The ride across to Chiloe is only 30 minutes. 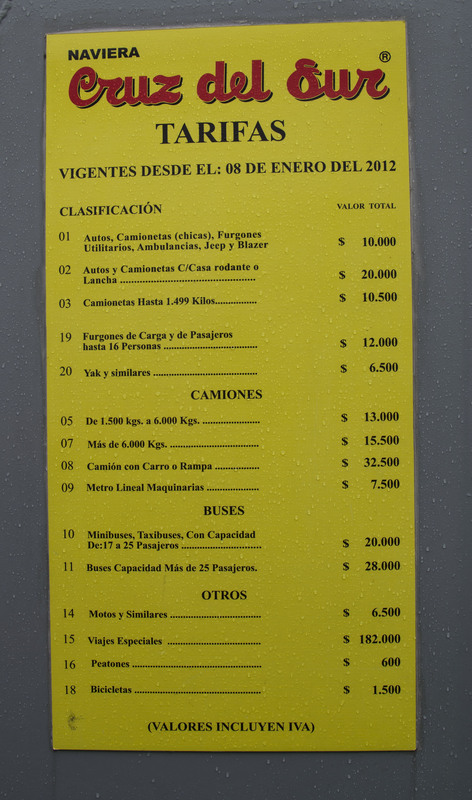 The ferry was very easy and you can buy your ticket once onboard from the comfort of your own cab. A complete surprise was that the ferry had WIFI ! 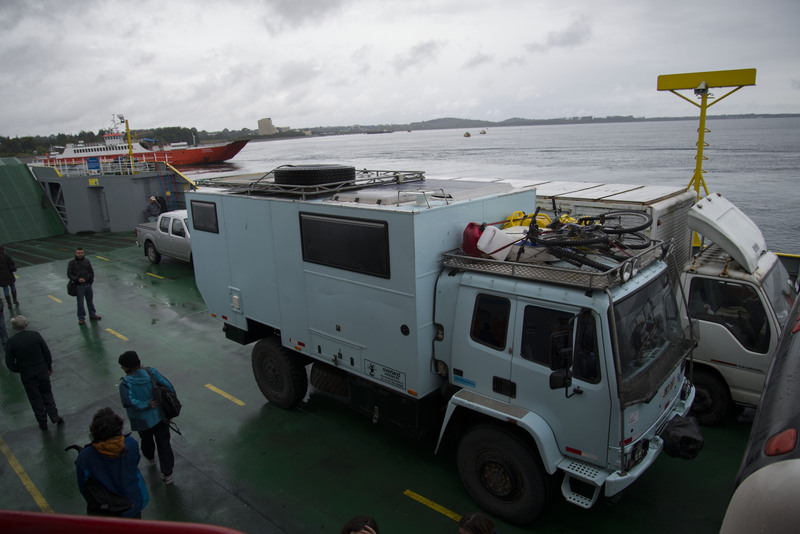 Once we reached the island we drove straight to Ancud to suss out campgrounds for Christmas. 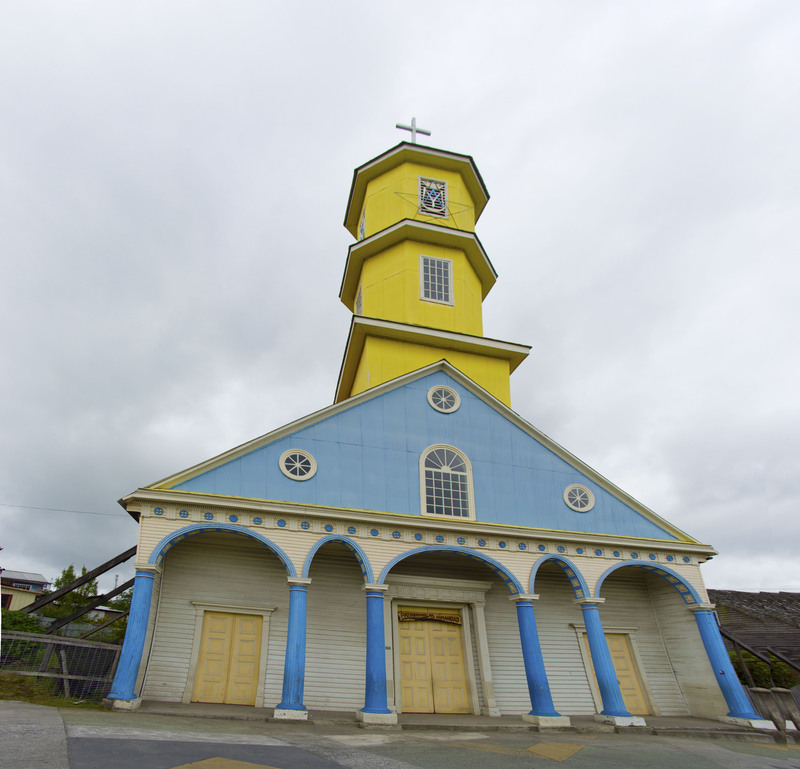 We also had a wander around town – and realised that there wasn’t much to see in Ancud. I had been really wanting to try the local speciality dish of Curanto so we went out to a restaurant in town, Kuranton. 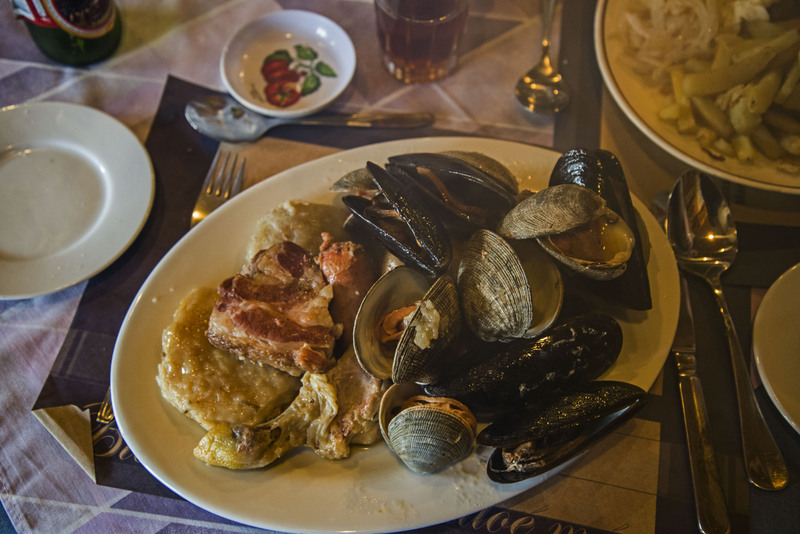 I wasn’t disappointed with the Curanto, traditionally cooked in an earth oven but in restaurants in a pot, which is a mix of smoked meat, chicken, chorizo, potatoes and potato dumplings mixed with shellfish, as well as a shellfish broth. It was absolutely steaming hot when it arrived and delicious. After Christmas we headed straight South as we had booked a ferry to Chaiten and the Carretera Austral for two days later. 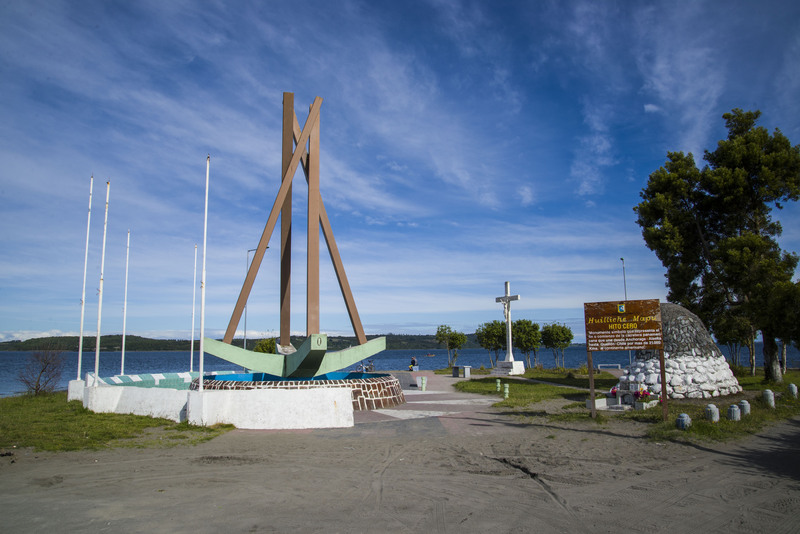 Our first port of call was the town of Castro which is the biggest town on Chiloe. Castro is famous for its fisherman’s cottages known as Palafitos which are built on stilts over the sea. 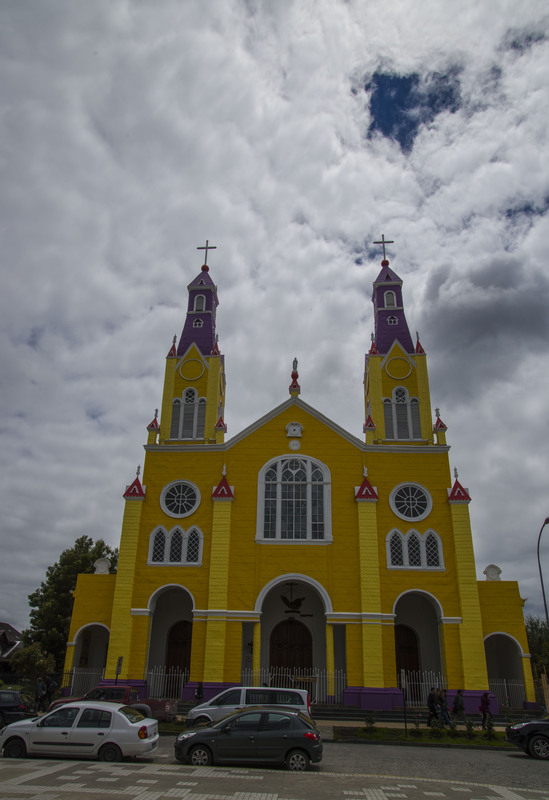 Castro also has a very pretty central plaza which has one of the brightest painted churches I have ever seen. We stayed overnight in Castro, free camping at a mirador and then continued to move South. Our lunch stop was at the refreshingly untouristy and fading but still pretty, town of Chonchi. Here there was another psychedelic church and a number of old shingled buildings in various states of disrepair. 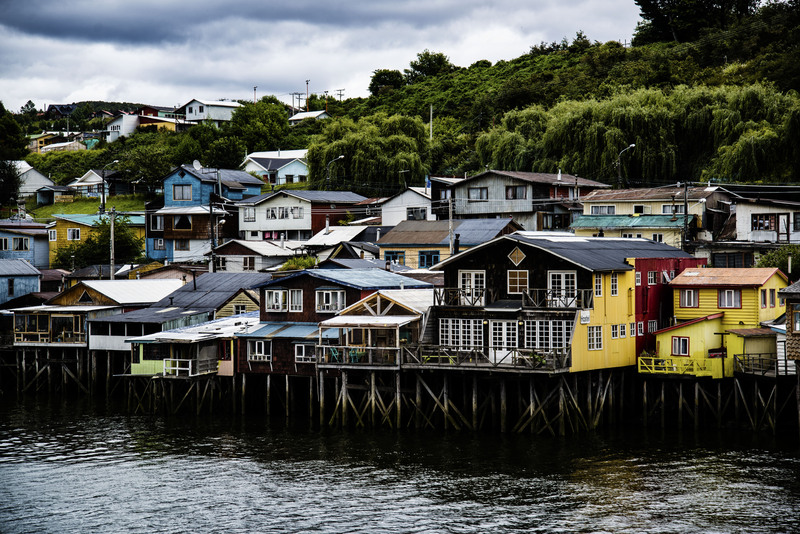 The Southernmost town on Chiloe is called Quellon and where the ferry leaves from. This town is the site of the Southern end of the Pan American Highway which stretches all the way from Anchorage Alaska. We had been driving down this road on and off the whole length of the Americas so it was a major milestone to reach the marker for the end of the road. We spent a few hours in Quellon before reporting to the ferry terminal at 10pm for our ferry which was supposed to leave at midnight – it actually didn’t leave until 7am the next morning but that’s another story !